Yogurt on toast would have never been something I thought of trying, but this recent piece about it in Bon Appetit got my attention, especially this picture of toast with yogurt and sliced figs on it. 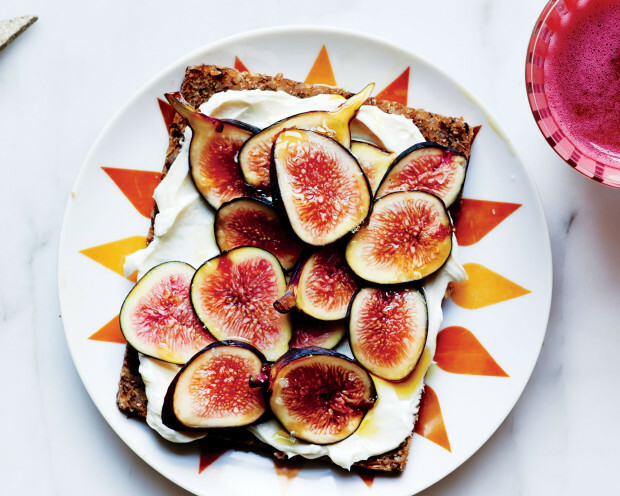 Toast, yogurt and figs? With figs, how could it be bad? The author uses full-fat yogurt, I would recommend no fat. It may not fill you up as she said her version does, but you don’t need the added fat. I also always use a low-sugar, fat-free yogurt to cut sugar intake as well. And I would only use whole wheat bread, preferably low- or no-salt whole wheat bread. I’ve found a no-salt variety at Trader Joe’s, although I’m worried because last time I stopped by a TJ’s it wasn’t in the bread section. I’m hoping that was a one-time out-of-stock and not the end of that store brand product. The article includes a list of wacky toast combinations. Let me know if you try any of these. I’m waiting until the figs on my fig tree ripen and then making the fig and yogurt option.